Everyone loves sushi in one form or another, and it makes the perfect healthy alternative to sandwiches or wraps for lunches. Making them at home is not as daunting as some may think. With a little practice, you’ll be on your way to experimenting with a myriad of ingredients and fillings, and getting the whole family involved in making their own. 1. Place the washed and drained rice and cold water in a large saucepan and bring to the boil over a high heat. 2. Reduce heat, cover and allow to simmer for 15 minutes. 3. Remove rice from heat and allow to stand covered for 5 minutes. 4. 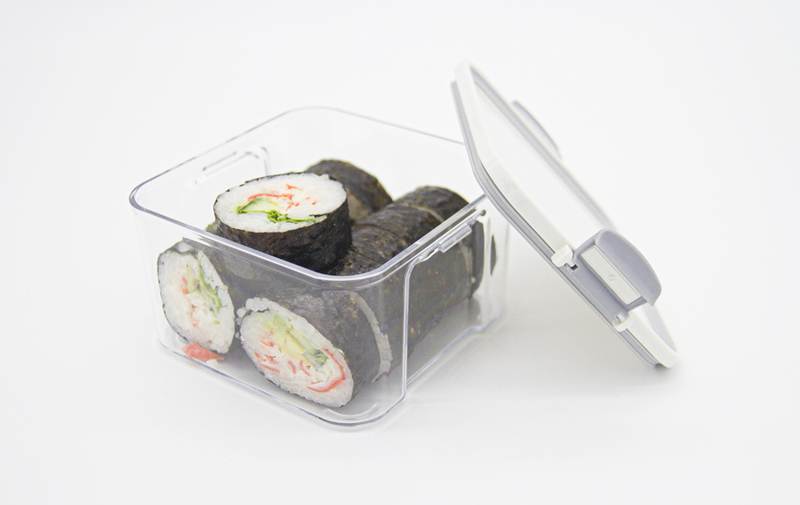 Prepare sushi seasoning by mixing rice wine vinegar, Nuvia Sweetener and salt in a small jug or bowl and set aside. 5. Place rice in a non-metallic bowl and slowly drizzle prepared sushi seasoning, using a wooden spoon to thoroughly mix through. 6. Cool rice quickly by fanning before making sushi rolls. 1. Place nori seaweed sheet on bamboo rolling mat, shiny side down. 2. Spread prepared sushi rice evenly over the nori sheet, leaving around 2 cm from top end free of rice. 3. Spread a thin line of kewpie mayonnaise (optional) along the centre of the rice and top with fillings of your choice. 4. Lift the end of rolling mat (closest to you) and begin rolling tightly, using your fingers to ensure that fillings are pushed in and enclosed. 5. 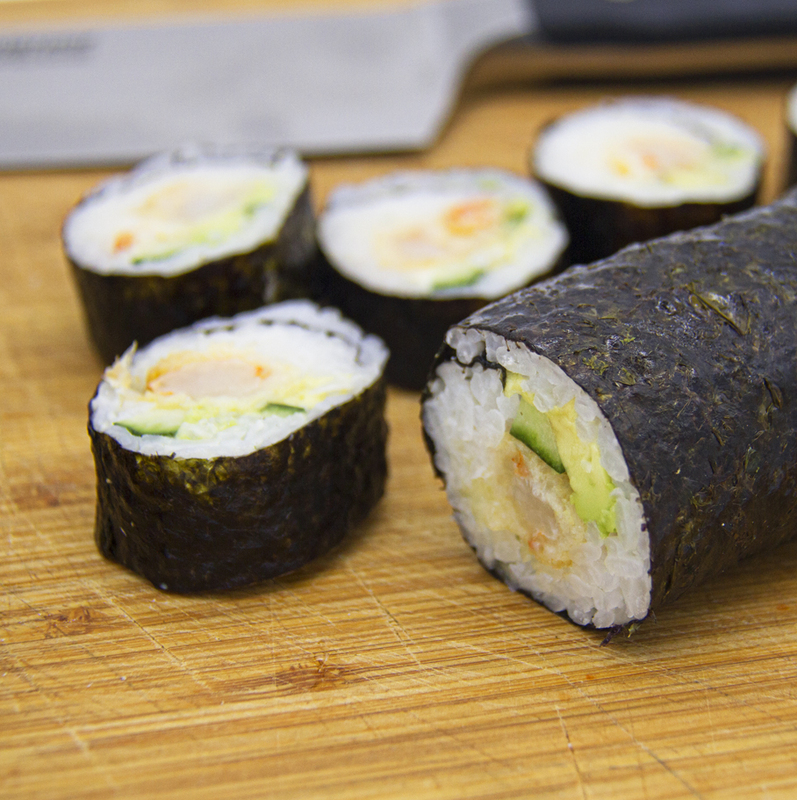 Before reaching the end of the roll, dab a little water onto the exposed nori sheet (without the rice) and continue to roll until edges are joined together. 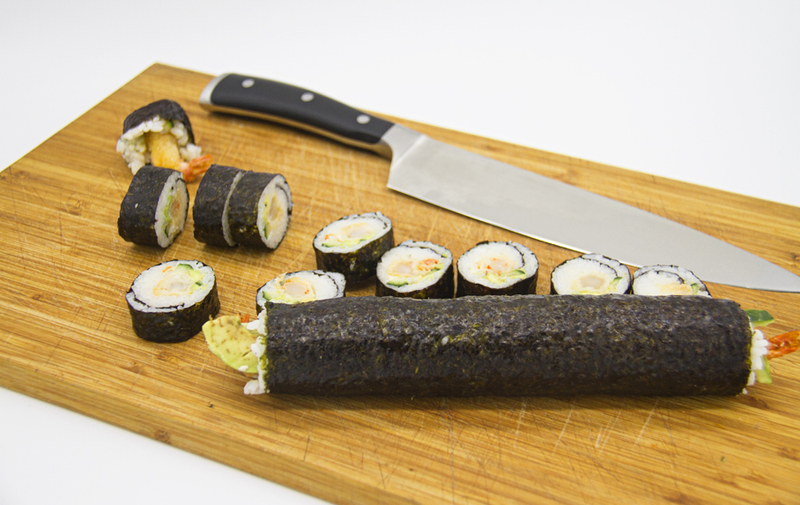 Set aside with seam side down, and continue to roll the remainder of your sushi rolls. 6. The rolls can be sliced using a sharp wet knife into halves or bite-sized pieces and served with soy sauce, wasabi and pickled ginger if desired. Sushi rolls are not suitable for freezing. Sushi made with seafood should be consumed within 1 day of making. Vegetable or chicken sushi should be consumed within 2 days. This dish can be made ahead and frozen in portions for quick weeknight dinners when time is limited. To freeze, simply place in suitable freezer containers, then wrap in freezer bags and freeze for up to 3 months. Remove from freezer the night before and place in fridge to thaw overnight, then reheat in microwave. Alternatively, defrost in the microwave on the defrost or a very low setting and then reheat.